Jon Lord Blues Project, the Live CD (with Jon Lord) is still available. Find out more about the Blues Project. Brian is so amazing! Truly wonderful news! Now if you could only add some USA dates to the tour schedule! I know that this news will help Jon to rest easier, knowing that the show will go on. As always, I send Jon my very strongest good vibes in the hopes that he has a very speedy recuperation and completely eradicates the cancer cells! 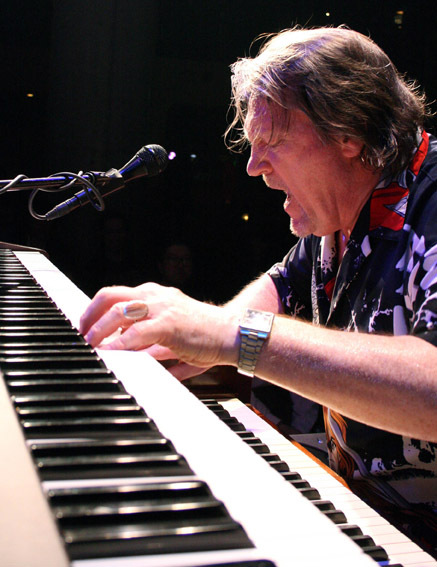 Great New’s , about Brian Auger Hooking Up with The Band ! Very good solution… but, Jon get well soon!!! It’s good to see some of the concerts being saved – and it will be even better to see Jon revovering soon. God bless you and grant you a speedy recovery. Please be assured that our thoughts and prayers are with you. You have been my inspiration and your music (and why not, perhaps even your spirit) have been a company to me in both happy and sad times. This, I am most grateful for. I heartily wish you a speedy recovery and augur that you and your family find all the necessary strength and courage and go through this. Very warm wishes from your fans in Malta. Well what can one say? They are all great players and great people.